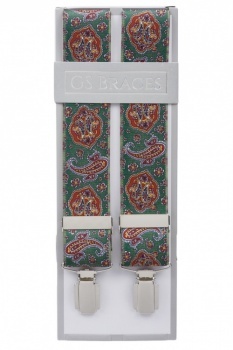 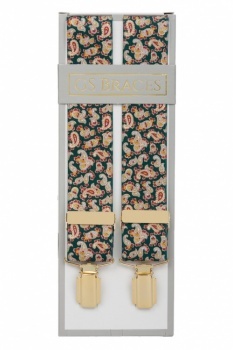 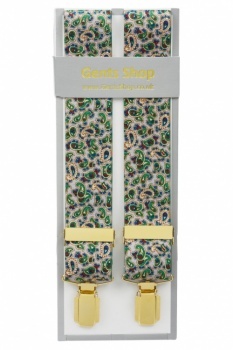 A pair of men's paisley braces or suspenders are one of the most classic wardrobe accessories. 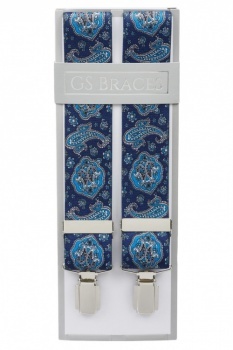 Choose from our selection of high quality mens braces below. 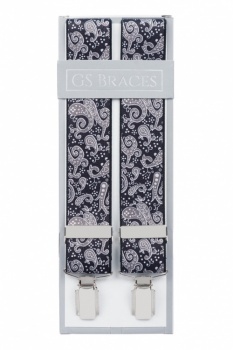 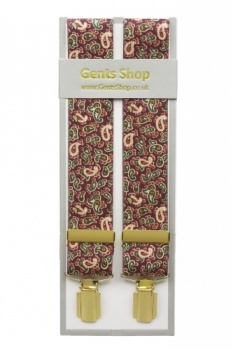 Extra long paisley braces are also available in all designs. All are fully adjustable to ensure a perfect fit. 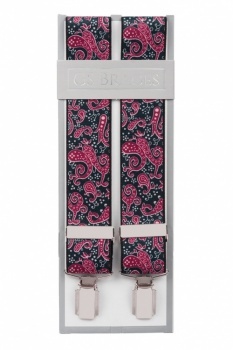 Nothing adds desirable pizzaz like a well-considered dash of paisley! 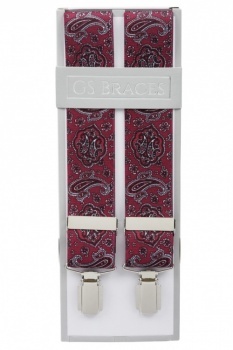 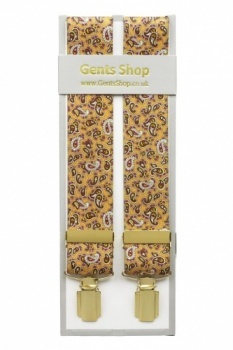 Paisley braces are one of our most popular choices and a classic accessory for any gents wardrobe. 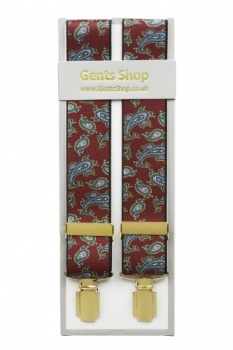 Perfect for adding that dapper dose of statement flair, we offer a wide range of mens trouser braces with paisley designs, in all manner of colours, to transform your suit with that extra mile of style! 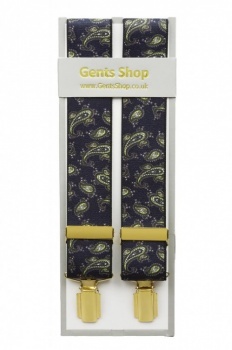 Whether you're off to a wedding, dinner dance, birthday or business bash, paisley suspenders are the prevailing fashionable choice for any formal or special occasion. 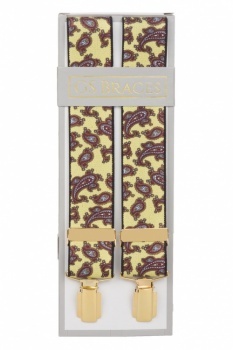 All of our paisley mens braces are presented in an acetate presentation box, making them ideal as a gift, not only for the well-deserving gent who wants to treat himself, but for friends, family or of course, that special man in your life.